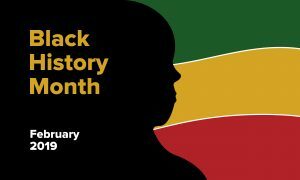 February is Black History Month, which is “an annual celebration of achievements by African Americans and a time for recognizing the central role of blacks in U.S. history.” Click here to read more about the origins of Black History Month. Every year, the Association for the Study of African American Life and History chooses a theme for Black History Month. This year, the Theme is Black Migrations. This theme “emphasizes the movement of people of African descent to new destinations and subsequently to new social realities.” Click here to read more about this 2019 theme. Black History is a huge part of New York City history. Click here to learn more about this history from the NYC Parks department or find an event to go celebrate. The Schomburg Center for Research in Black Culture, in Harlem, has a variety of events to celebrate Black History Month. These include a Black Lives Matter teen conference (February 9), special exhibits including an archive of materials from the transantlantic slave trade, and more that you can read about here.